Christmas is long gone, New Year is all but a distant memory and now with spring around the corner, it’s a time many of us are thinking about reviving and rejuvenating our homes. Known as our entertainment hub, the living room is where we do most of our… well… living. With time spent in living rooms steadily rising over the last few years, there’s never been a better time to reinvest in the lounge. 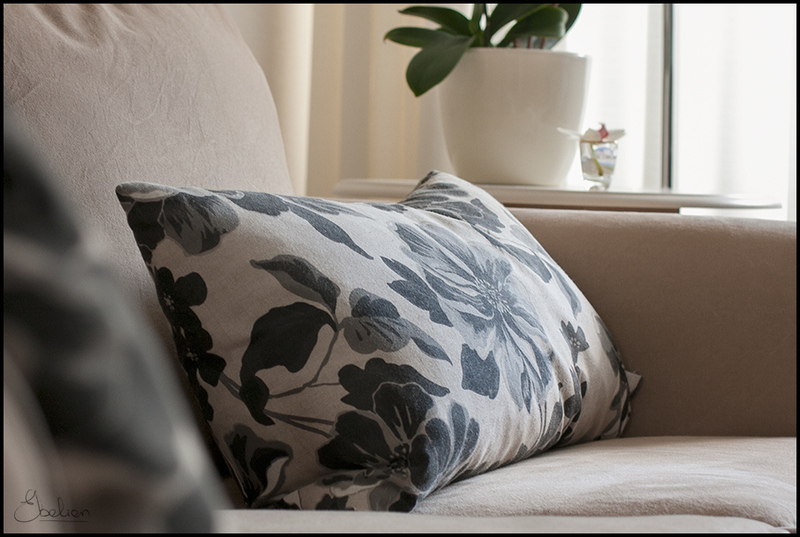 And your spring makeover needn’t be expensive as here are some quick and easy ways to update the living room for spring. With all the planning, painting, pushing and pulling that goes on during a redecoration you’d understand why many shy away from it. But it doesn’t need to be an expensive feat. Using accessories to decorate your space is a cheap and effective way to transform the look of your room and can mean the difference between drab and fab. Brighten up the space by introducing white accents such as pottery, rugs, picture frames and even flowers in time for spring. The key is to add touches of colour to create different levels within a room. Pillows are one of the simplest ways to experiment with colour and dimensions so head down to your local home store for a shop around or, if you’re a dab hand at crafts, why not try making some funky pillowcases yourself? If you’re thinking about buying new furniture, here’s your chance to splurge a little. It’s better to spend that little bit extra on a few statement pieces of furniture that will last years rather than on expensive accessories that will be swapped out come autumn. Ensure you choose items of the highest quality and stores or manufacturers that can create bespoke, made-to-order pieces are usually a safe bet for ensuring items of quality and rigour. 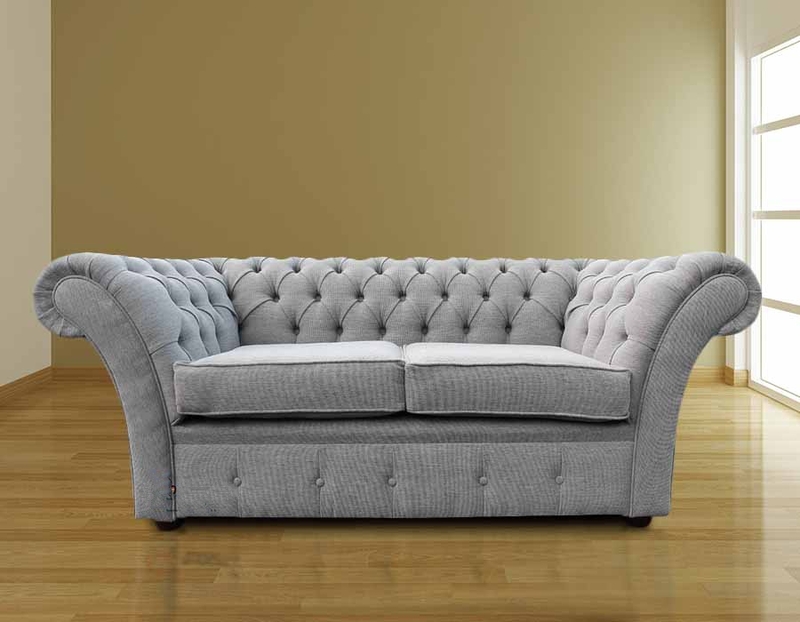 A new sofa can instantly update a room and one such as this Balmoral Chesterfield fabric sofa is perfect for introducing a timeless yet elegant edge. The silver colouring provides a bright, airy feel whilst accessorising with bursts of colour will illuminate the living space even more. Nothing says spring more than some fresh flowers! For anyone who’s on a serious budget and wants an instant update, flowers can create a seriously stylish centrepiece. 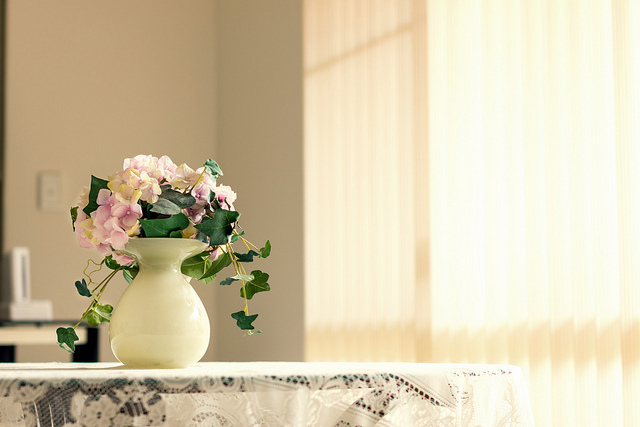 Floral arrangements bring the outside in and they can certainly cheer up our homes when the weather is grim. A bouquet of bright, vibrant flowers can perk up a monotonous room whilst sleek and contemporary living spaces will benefit from a simple green bouquet in a glass vase. Is your home a country-style retreat? Try some flowers from your own garden to give it a rural, cottage hideaway feel. Spring flowers such as daffodils and tulips are hugely popular during this time of year and they thrive in cooler temperatures. There’ll be no doom and gloom in the house with these as a focal point! Are you planning on decorating for spring? We’d love to hear your tips and tricks so be sure to Tweet us or comment on our Facebook page.